One of few LOCK-OUT units available. Seller open to offers. Hyatt Wild Oak Ranch is designed to appear rustic with historic ranch architecture. The exterior is created with rustic wood beams and limestone, but the inside is furnished with custom décor. At the ranch, you will be able to explore 39 acres of natural landscape and trails. Then, you can relax at a pool with a sandy beach or slide down a waterslide. With a Hyatt Wild Oak Ranch timeshare resale, you can sit by a fire-pit at the Wildflower Pavilion, stretch out on a hammock, watch movies under the stars, try a round of golf or listen to music at a restaurant. 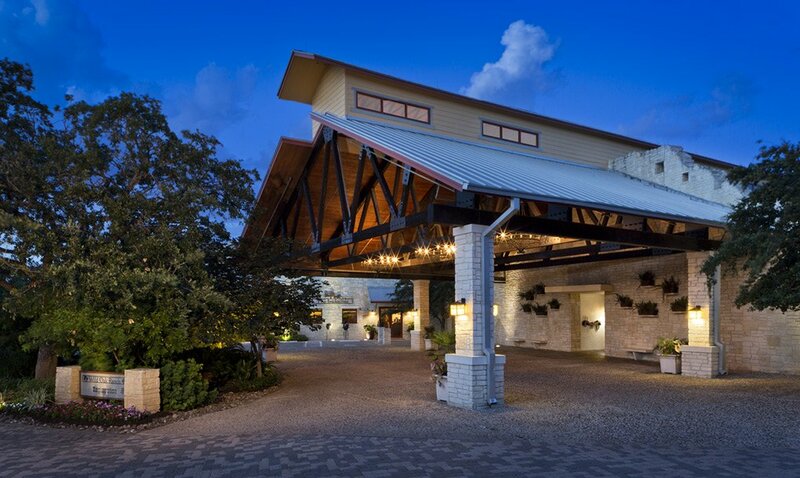 You can enjoy the Texas hospitality by investing in Hyatt Wild Oak Ranch timeshare deals. A studio accommodation has a private balcony, full bath, kitchenette, king size bed, full size sleeper sofa, microwave, toaster, coffee maker and more. It is equipped with leather furnishings to give it a ranch-style appearance. The studio room is spacious enough for four adults. The ranch has one, two and three bedroom condominiums that are adorned with authentic artwork and leather furnishings. Each one offers you a large living room, queen size sofa bed, dining area and a fully equipped kitchen. The master suite includes a king size bed with an adjoining bath. You can enjoy taking a shower or soaking in a spa tub in this luxurious bath. The guest bedrooms include additional sleeping space for family or friends. With Hyatt Wild Oak Ranch timeshare resales, you can expect to stay in comfort when you visit this area. The activities and local attractions are good reasons for investing in a Hyatt Wild Oak Ranch fractional ownership. With a fractional ownership timeshare, you can spend time playing golf at specially designed golf courses, or you can be pampered while you obtain the perfect tan laying beside a beautifully designed pool. The staff at the ranch will have many activities planned to keep you entertained such as creating art, watching movies and playing volleyball. You can take a sightseeing tour of the area to discover what this area has to offer you if you buy a Hyatt Wild Oak Ranch timeshare. While you stay on the ranch, you will want to visit the Museo Alameda Museum. This large museum will help you learn about the Hispanic-American culture. The exhibits will allow you to explore the world through art and artifacts. If you are traveling with children, you will want to investigate the San Antonio Children’s Museum. It offers the children a chance to explore the history of San Antonio in a fun way. The museum includes a miniature River Walk, miniature dentist’s office and a bank for the kids. In addition, the kids can enjoy visiting the multicultural grocery store. The activities at this museum include crawl spaces, corn grinding, weather station and a radar room. Hyatt Wild Oak Ranch timeshares for sale make this adventure for your children better since you know that you have a safe and comfortable place to return to after exploring the museum all day. You will want to try some of the local Texas cuisine before leaving the area. You will have numerous restaurant choices to choose from for you meals. From colorful dining establishments to outdoor dining areas, you will find something to delight your appetite. San Antonio is full of history and energy. You can relive historic events, or you can explore the 18th century missions. You can shop, dine and explore this vast area to make memories that will last a lifetime. You can be entertained on each visit when you visit Six Flags Over Texas, which is within driving distance of the ranch. Take an exhilarating and daring ride on a roller coaster at the amusement park to get the thrill of your life. In addition, you can visit SeaWorld San Antonio for more adventure. At Premier Timeshare Resale, someone can assist you if you are looking to buy or sell a Hyatt Wild Oak Ranch timeshare. San Antonio, Texas is the place to be if you want to sample some true Texas hospitality and cuisine.